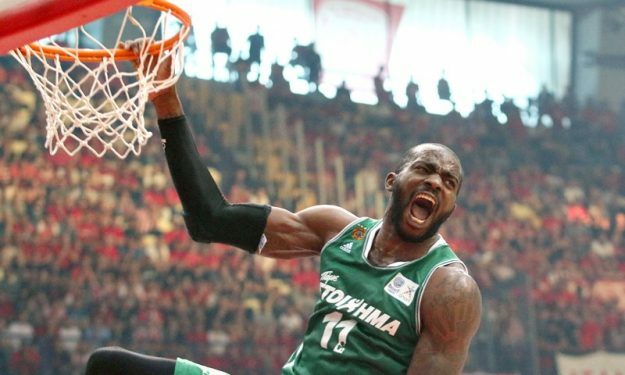 Stephane Lasme and Panathinaikos will meet again. According to Eurohoops sources from Turkey, Panathinaikos is bringing Stephane Lasme back to Greece. Lasme, 35, had plenty of offers, including lucrative contracts from Anadolu Efes, Maccabi Tel Aviv and Unics Kazan, all of which he turned down on Tuesday since his wish seems to return to Panathinaikos. The Gabonese center comes off from an impressive season with Unics in EuroCup, where he averaged 14.6 points, 6.4 rebounds, 2.5 cups and 19.6 PIRs per game.